This fox is ready for the hunt - but he's ready to chase the hounds! Outfitted in a traditional red jacket and bow tie, he sports a fluffy orange luxrex tail. He's one handsome guy! Size: 5.5 inches high. 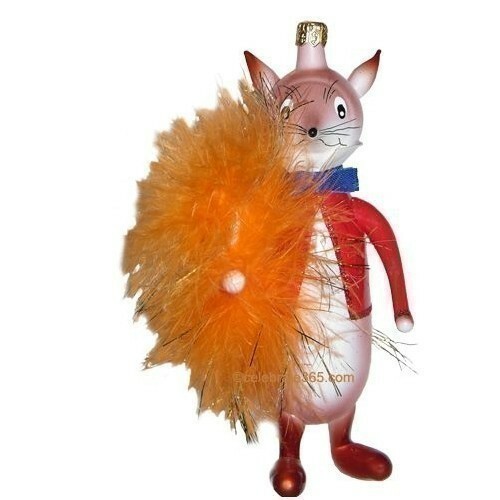 The Italian company "Soffieria De Carlini" has manufactured decorations for Christmas trees since 1947, and the art has not changed over the years. The stem is blown individually, without the help of any mould. Every ornament is a unique piece of art.